Murray Fredericks is an internationally-recognised and multi-award winning artist and filmmaker. Graduating with a Bachelor of Politics from the University of Sydney in 1992, Fredericks subsequently spent extended periods travelling alone in the Himalaya and Middle Eastern deserts. During this time he became aware of the profound effect that time spent in isolation – particularly in powerful landscapes – can have on the mind and one’s sense of self. 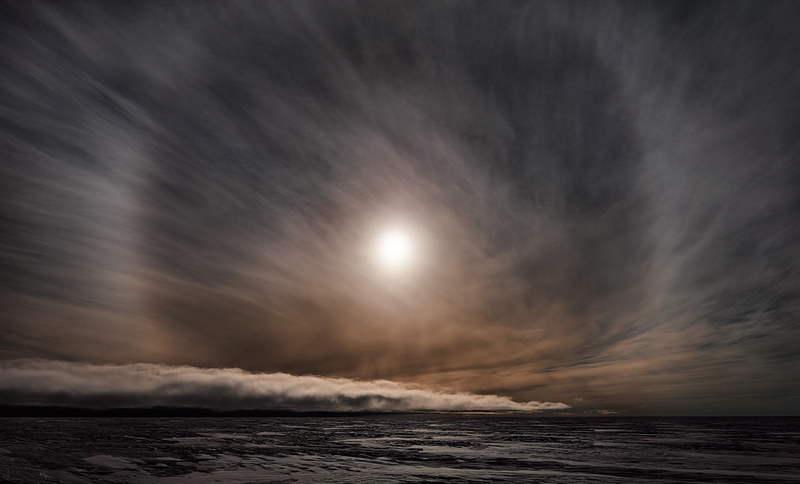 In the almost 20 years since, Murray Fredericks has taken prolonged solo journeys to isolated and extreme locations, to produce large-scale photographs that capture the overwhelming emptiness and powerful emotional resonance of remote land and sky. His highly-acclaimed Salt series commenced in 2003 and has seen the artist complete more than 20 trips to Lake Eyre–Kati Thanda in South Australia, living alone for up to five weeks at a time. A conceptual exploration into the emotional qualities of ‘space’, the original Salt series has been exhibited and acquired by major institutions and galleries worldwide, including: National Gallery of Victoria, Melbourne; the Australian Parliament House, Canberra; the National Portrait Gallery, Canberra; Horsham Regional Art Gallery, Victoria; and many prestigious private and corporate collections. In 2008, the ABC commissioned Murray Fredericks’ first feature documentary – a film based on the Salt project recording the artist’s personal narrative and artistic practice at Lake Eyre. Fredericks was cinematographer and co-director and released the film, also titled Salt, the following year to wide acclaim. Salt won twelve major awards, including the Camerimage 'Golden Frog' for cinematography; Silverdocs/AFI/ Discovery ‘Jury Prize’; International Documentary Association ‘Best Documentary’; ‘Best Short Film’ Melbourne International Film Festival; and also received two AFI nominations. The film played over 70 festivals internationally and screened on the ABC and PBS in the USA. 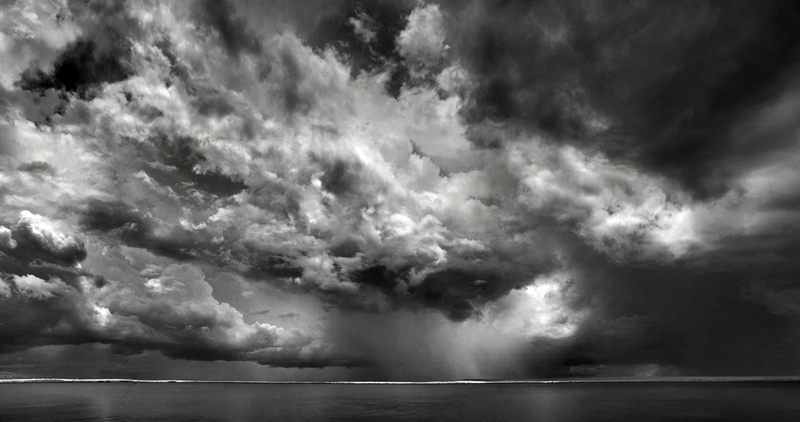 Murray Fredericks’ other major projects include Icesheet (2013), an intrepid journey to the Greenland icecap, Hector (2011-16), striking black-and-white photographs that convey the dramatic weather systems of the Tiwi Islands, Northern Territory, Vanity (2017), a series in which mirrors interrupt the endless and ethereal horizons for which Fredericks has become known, and Array (2018), an extension of his otherworldly exploration of mirrors in the landscape. Murray Fredericks has exhibited widely, including a major Australian landscape survey exhibition at the National Gallery of Victoria, 2012; two solo shows at the Australian Centre for Photography, 2010 and 2015 respectively; and four solo shows at Hamiltons Gallery in London. His work has been acquired by important public and private collections internationally, including the National Gallery of Victoria; Australian Parliament House; Australian National Portrait Gallery; Artbank; The Sir Elton John Collection; Macquarie Bank; Commonwealth Bank; The Myer Collection; The Valentino Collection; and a number of regional galleries across Australia. Murray Fredericks has been the recipient of numerous awards and is a regular finalist in Australia’s top photography prizes. In 2015, he received the People’s Choice Award for the Bowness Photography Prize, Monash Gallery of Art, was runner up in the Head-On Festival Landscape Prize, and a finalist in the JUWS Photography Award. MurrayFredericks holds a Masters of Art and a Masters of Fine Art from the College of Fine Arts (UNSW), both based around landscape themes. He is represented by ARC ONE Gallery, Melbourne. For more information, please visit the artist's website.